Catalyst is the most popular open-source and most powerful perl framework for web application development. Use of frameworks simplifies the development process and reduce the time needed for web application development. Catalyst also includes their own web server which makes application development more easy than using other web servers like apache or nginx. It is an elegant, powerful and and refined perl framework which is used to create simple to very complex web application. It is the preferable framework for developing RESTful applications like APIs. Built in functionalities like routing, plugins, commands and session management helps to complete application development faster. Catalyst uses familiar templating languages making the development easier. Catalyst has its own test server which is lightweight. Catalyst works with most web servers. We have a team with in-depth knowledge in Catalyst framework to provide end to end solutions. Best in class quality and performance is assured for the solutions we develop. By having hands on experience on all of the features of the framework the development of the product is achieved in minimum possible time and following the coding standards. Catalyst ensures faster application development. 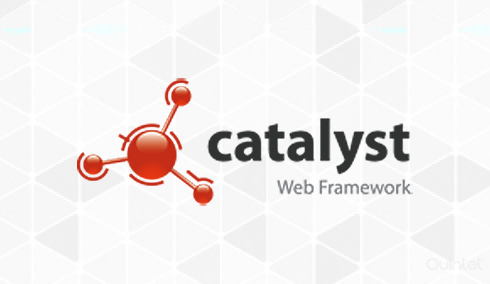 If you are planning to go for a new perl web application, catalyst framework is always recommendable. During application development we also put emphasis on security and performance including optimization of database queries to the usage of appropriate caching techniques. The functionality of catalyst can be enhanced by the means of plugins. This helps to add a functionality without having to reinvent the wheel. The usage of plugins ranging from security, performance and added features will enhance the catalyst framework core. Plugins for your service make it easily integratable for your clients when you are providing an online service. Currently web business/services are active 24/7 and downtime at any hour of the day or night can affect the user experience which in turn will affect the business. We are here to take over the challenging task of performing maintenance or enhancing the application by adding extra features. We ensure seamless upgradation of your services without affecting user experience. WebGUI is an open source content management system that helps to manage contents on the websites. We can assist you to integrate this web application framework for easy content management which includes the ability to develop and implement new features.